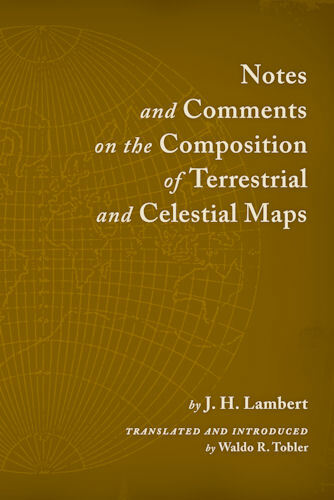 Redlands, CaliforniaNotes and Comments on the Composition of Terrestrial and Celestial Maps, recently republished by Esri Press, brings to light the work of Johann Heinrich Lambert, a man whose work constitutes the beginning of the modern period in mathematical cartography. The original German edition, published in 1772, introduced several distinct map projections created by Lambert that are still in use today. Unavailable for several years, the 1972 English translation by noted geographer Waldo R. Tobler has been enhanced to include an expanded preface and updated reference section in its new release. “The subject of map projections has seen important contributions from many remarkable individuals, with Johann Lambert [being] one of the foremost authorities,” says Tobler. Tobler is a leading geographer and cartographer who has authored and coauthored many influential articles and papers on cartography and map projections. He is professor emeritus in geography at the University of California, Santa Barbara. 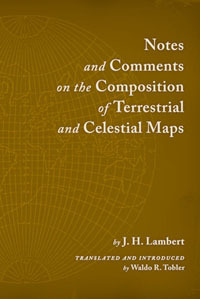 Notes and Comments on the Composition of Terrestrial and Celestial Maps (ISBN: 978-1-58948-281-4, 132 pages, $24.95) is available at online retailers worldwide, at esri.com/esripress, or by calling 1-800-447-9778. Outside the United States, visit esri.com/esripressorders for complete ordering options, or visit esri.com/distributors to contact your local Esri distributor. Interested retailers can contact Esri Press book distributor Ingram Publisher Services. Through its Classic Series, Esri Press preserves important scholarship in the field of cartography by republishing seminal texts that are no longer in print. Other books in this series include Semiology of Graphics by Jacques Bertin, The Look of Maps by Arthur H. Robinson, and Cartographic Relief Presentation by Eduard Imhof. Esri Press publishes books on GIS, cartography, and related topics. The complete selection of GIS titles from Esri Press can be found on the Web at www.esri.com/esripress.